Dr Gwenael Rolin, PhD in Cell and Tissue Engineering, Research Engineer, part of the INSERM Clinical Investigation Center INSERM CIC 1431 (University Hospital of Besançon) and part of Autoimmunity-Transplantation-Inflammation Team UMR1098. 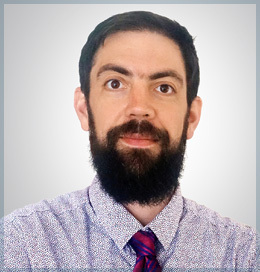 He has expertise in adult and stem cell biology, development of 3D model-organoïds, tissue equivalent (Patent WO2011001116 A1 and FR-2947562), wound healing, fibrosis, Regenerative Medicine (University Diploma obtained in 2017, Paris XI), biomaterial, medical devices and translational research. His work also focused on the association of biomaterial, as medical devices, and adult or stem cells for the development of innovative combined Advanced Therapeutic Medicinal Products. Dr ROLIN is also part of an intern CIC group (DinaMic) composed of researchers working on the development, the clinical evaluation and valorization of medical devices. His position in INSERM CIC 1431 is at the interface of its two modules: Technological Innovation and Biotherapy. He works locally in partnership with colleagues from Sciences and Techniques FEMTO-ST Institute and namely with the team dedicated to research on soft tissue. Together, they investigate and model the mechno-biological features of human pathological scars compared to normal skin. Dr. ROLIN is also the lecturer at the Faculty of Medicine (Bourgogne Franche-Comté University) and at the Biomedical Engineer school of Besançon (ISIFC – International Master Degree) where he teaches courses in Cellular and Tissue Engineering, Regenerative Medicine, Biotechnology and Advanced Therapy Medicinal Product. Translational Clinical Research, Advanced Therapy Medicinal Products, Tissue Equivalent (Skin and dental pulp), Cutaneous and Dental Engineering, Medical Devices, Biomaterials, Wound healing, Cell and Tissue engineering, Biomechanics, Keloid disease and hypertrophic scars. Since 2012, Dr ROLIN is coordonator of Franco-Thaï collaboration between Clinical Investigation Center and both the Center of Excellence in Molecular Imaging of Chiang Mai University and the Faculty of Pharmacy from Naresuan University (Phitsanulok). Scientific goals: evaluation and transfer of Thaï natural products to clinic. Since 2014, Dr.ROLIN works with Pr Ciro ISIDORO (Laboratory of Molecular Pathology and Nanobioimaging, Department of Health Sciences, Università del Piemonte Orientale, Italy) on the evaluation of Halofuginone and resveratrol in the potential treatment and prevention of keloïd scars. 2015-2016: Training in Team Management, INSERM, Paris, France. 2014: Certificate for animal experimentation (Level 1) at the Ecole Pratique des Hautes Etudes, Dijon, France. 2011: Ph.D. in Life and Health Sciences (December 2011) Faculty of Medicine, University of Franche-Comté, Besançon. Title: “From the effect of mechanical tension on skin wound healing to the construction of a skin substitute with intrinsic mechanical forces”. Ph.D. Director: Pr Philippe Humbert. Honors. 2007: Master II degree in “Cell Tissue and Gene Engineering” Faculty of Sciences, University of Franche-Comté, Besançon. 2006: Master I degree in Biochemistry, Cell, and Molecular Biology, Faculty of Sciences, University of Franche-Comté, Besançon.